Cyber criminals and hackers have been responsible for some of the most remarkable innovations in the domain of website security in terms of protecting web applications against rising trends of cyber attacks. Evolution of Web Application Firewalls can be a unique example of how new technologies are being developed in response to growing technical capabilities of cyber criminals. A brief look at recent cyber attacks is enough to understand that new generation hackers are increasingly targeting web servers, and web applications apart from websites. Frequency as well as intensity of DDoS and SQL injection events is growing alarmingly along with cross site scripting, thereby necessitating immediate security arrangements for a guaranteed defense. There can be two principal ways to defend servers and applications against new-age cyber attacks that may include improving the resistance to attacks by building applications with special features or implementing advanced firewall security to protect servers and applications from XSS, DDoS and SQL injection attacks among others. You will agree that the second approach cannot be expected to guarantee security of the entire gamut of applications considering the fact that majority of commonly used applications are not developed with security against SQL injection or XSS events in the first place. Several applications may be victims of session hijacks thereby demanding unique firewall solutions that have advanced defense capabilities such as Web Application Firewall. Unlike conventional firewalls that are only capable of analyzing only packet headers, Web Application Firewalls have ability to perform analysis of packets’ contents. Interestingly, a WAF can be built to include hardware as well as software although some WAFs are either software or hardware oriented just like their legacy counterparts. Whichever may be the case, Web Application Firewalls apply configured rules of firewall after analyzing requests received via HTTPS and HTTP including GET as well as POST requests. This unique mode of action helps Web Application Firewalls identify and arrest traffic of malicious visitors that is sure to be ignored by standard security solutions. Since some of the security regulations cover web security of applications, WAFs must be integrated with a SIEM solution. Proactive and proper implementation of WAF can prevent all types of malicious web-traffic from breaking into servers while helping your enterprise adhere to federal security regulations including HIPAA and PCI-DSS among others. This can empower security admins with enhanced monitoring capabilities for ensuring security of the web server. Some Web Application Firewalls are programmed to demand proof of authenticity to visitors by launching CAPTCHA test to prevent entry of bots into the secure zones of web applications. There are three important WAF configuration models that individually differ in terms of efficacy for a given context of an application or a web server. WAFs can be configured to entertain requests such as HTTP GET, only from specific addresses if Web Application Firewall is configured as per white-listing model. Whenever a user requires the firewall to provide an extremely wide net to prevent a large number of cyber attacks this model can be the best option. However, there is a catch, since a wide net will also prevent authentic traffic from reaching your site. This restricts use of white-listing Web Application Firewalls to a limited infrastructure that may include a handful users or members of staff in an internal environment of an enterprise. If the application or a business website is operating in a public ecosystem of the internet, that is home to an uncountable variety of cyber crimes and data hacks, then a Web Application Firewall should be configured as a blacklisting model. In such environment there is a huge possibility of an incoming traffic from unidentified sources that could be genuine. In a blacklisting WAF model, there is a provision to arrest obviously malicious traffic by leveraging preset signatures in order to prevent hackers who operate by exploiting vulnerabilities applications as well as websites. When a Web Application Firewall is configured as a blacklisting model, then it will effectively thwart attempts of sending significantly large number of requests from multiple dedicated IP addresses to prevent a possible or an impending DDoS attack. The third and the most preferred configuration model of Web Application Firewalls is known as hybrid security WAF configuration model. It integrates important properties of blacklisting as well as white-listing configurations to allow a broader security by considering every possible configuration scenario. This type of a WAF configuration is also gaining increasing acceptance in internal networks of enterprises apart from public internet infrastructures. It is a well-established fat that cyber criminals and hackers focus on websites and applications. The trend of challenging security of websites is here to stay and gain traction as more and more applications and business websites are being launched by startup enterprises. One must develop abilities to secure variety of devices as well as software applications without deviating from the best practices that must be adhered to during the course of web application development. This entry was posted in Web Hosting Services and tagged web application firewall, web hositng india, web hosting on September 3, 2018 by Ryan. What Problems Can Surface From Similar Content on Multiple Sites? According to a renowned Google Expert Mueller, many websites having the same IP does not really pose a problem. What however causes problems is when many sites have the same content. The problem came to the fore when discussions started to find out possible reasons why there could be a drop in web traffic when many sites had a common IP. Besides having a common IP, another point of concern was that the sites contained similar content and a duplicate structure. Mueller is of the opinion that as far as Google search goes, having the same IP should not be a threat. But, when content is the same and when websites are trying to attract buyers to similar products, there can be a problem. How does Google tackle the problem of similar content on multiple sites? In such a situation, what Google can do is to show the content from only one of the sites out of this set of “doorway” sites. Doorway sites of pages are typically the low quality web pages which have only the sole purpose of getting a high placement in any search engine rankings. This is largely a SEO technique for getting attention of search engine spiders and uses keywords that are most likely to be picked up by the web crawlers. Secondly, in case Google thinks that the similar-content websites are all doorway sites it can bring down all of their ranks. So, according to Mueller, it is imperative for the webmaster to focus on creating unique content instead of getting worked up about many sites having the same IP. Mueller says that having a common IP for multiple sites has never posed any problem. Incidentally, there are many Content Delivery Network which use similar IP address for different websites and that never interferes with their performance. What can of course pose an issue is when you find that all the sites are just replicas of one another. This is when algorithms start to identify them as “doorway” sites. In the opinion of Matts Cutts who was the ex-head of spam team at Google, nearly 30% of total content which is found on the Internet is actually duplicate content. But users cannot see the other URLs containing duplicate content simply because they all have the same domain. So, web masters typically make use of conical tags and other methods for reorganizing websites and managing similar content on one domain. The Google algorithms have been programmed to sort through these but when filters are disabled; there are instances when many URLs dealing with the same content show up. Similar content on different domains can also be a major issue. When there are two distinct websites you have two separate domains and at time, the same content on different sites becomes unavoidable. This happens when they re-publish blogs or press releases. If carried out in a proper way, this is not going to harm the site. But there are certain instances when same content on diverse domains can end up damaging your site. Some of these instances include stealing competitor’s content, or site scrapers reposting copied content or recycling content from one domain to another that you own or re-using product descriptions given by manufacturers. What problems can you face because of duplicate content? – Often the same content on different sites tries to compete for the same types of keywords. So, it becomes very difficult for the original website to get a high rank on the search engine results page. Google may detect this problem of duplication and demote all the duplicate sites. – Back links are a key component of SEO and when you have other reputed sites offering links to your web page, your site gains credibility and authority. But, when any copycat site starts to use the same content, other sites will not link their pages to your site because they cannot be sure if this is original content. – When there are duplicate product descriptions in different sites, consumers can get confused. So, they end up buying from some other store because of the mix-up. – When you own all the content on different sites there is no threat of copyright infringement. But you will always face risk of reproduction. This is because content thieves will select content which has been duplicated already thinking that the owner is careless. So, when you steal phrases from competitors or use a fill-in template from them, you are at risk of a copyright lawsuit. Moreover, duplicate content from competitors’ sites will never describe your business to customers. 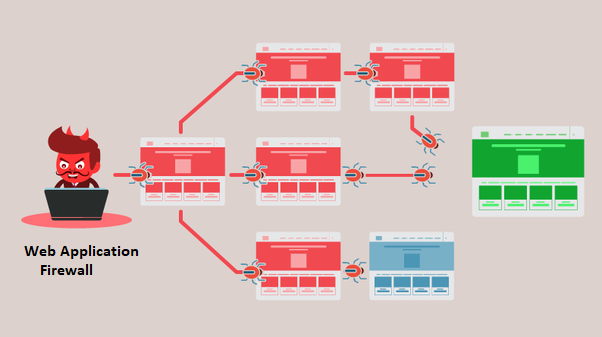 – When you have sites using duplicate content, they will rarely give any new or relevant information to clients. When users have gone through the content previously they click away and this increases bounce rate for your website. High bounce rates are undesirable as they can lower web page rankings. – When the same content on multiple sites use similar keywords for similar topics, users will also find these side by side on any results page. So, the original cannot be identified and users cannot be sure which site is secure. So, they stay away from all duplicate sites. The trick is to create few sites but make these strong and with unique content. This will never pose a threat to your site credibility. This entry was posted in Web Hosting Services and tagged web hosting, web hosting India, web hosting services on August 29, 2018 by Sunil Yadav. With the deployment of a strong web application firewall, one can be ensured and secured for critical web applications wherever they reside such as within a virtual software-defined data center (SDDC), managed cloud service environment, a public cloud, or traditional data center. A powerful WAF solution contributes towards organizations to protect against OWASP top ten threats, various application vulnerabilities, and zero-day attacks. There are many organizations, which deliver updated rich and complex web content to customers without having an adequate security measures and which inculcate significant risks and are exposed to many potentially malicious attacks from frequently changing IP addresses. A powerful WAF also allows compliance with some key regulatory standards like HIPAA and PCI DSS. 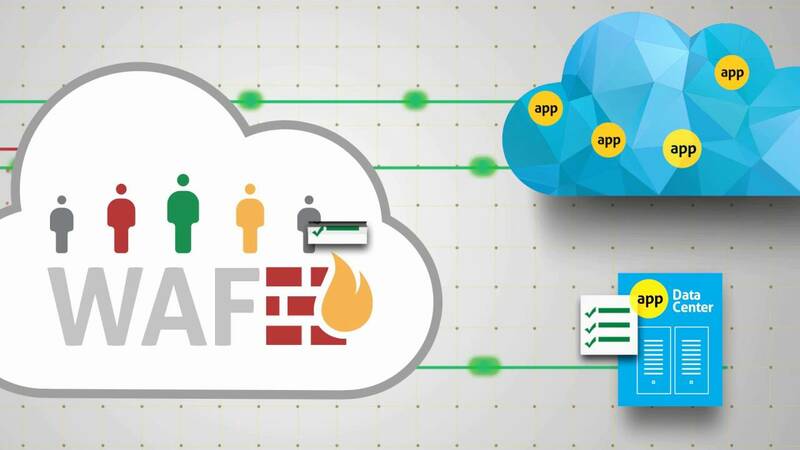 In today’s era, enterprises are exploring their businesses with the usage of more web-based along with cloud-hosted applications, so a more powerful web application firewall (WAF) isn’t a luxury—it’s a requirement, a need. At present, these cloud-based applications have become very popular, and so such malicious attacks have increased tremendously thus threatening enterprise data. This particularly makes it far more complicated for administrators and various security teams to keep in check with these latest attacks and protection measures. Also, meanwhile, the various security teams ought to meet the compliance requirements for the purpose of data sharing and online commerce across various traditional and cloud environments. Various enterprises might continue for the usage of a hardware WAF appliance to protect their critical applications which are managed in a traditional data center. They can also obtain their application related security requirements using other WAF deployment models. 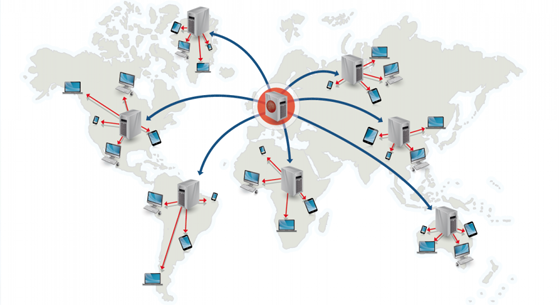 Traditionally, the concept of WAF was deployed as hardware appliances on premises in various enterprise data centers. But with the migration of applications to cloud-based Infrastructure-as-a-Service (IaaS) environments and organizations leveraging cloud Software-as-a-Service (SaaS) apps, administrators and security teams are challenged for protecting applications beyond their data center. That means they cannot compromise on factors like performance, scalability, and manageability. Organizations usually struggle quite a lot to keep in check and maintain required control over new enterprises which offers limited security options for critical web applications residing beyond the controlled environment. In this specific inline model, there are three very significant methods that can be used to pass and control traffic: reverse-proxy mode, router mode, and bridge mode. 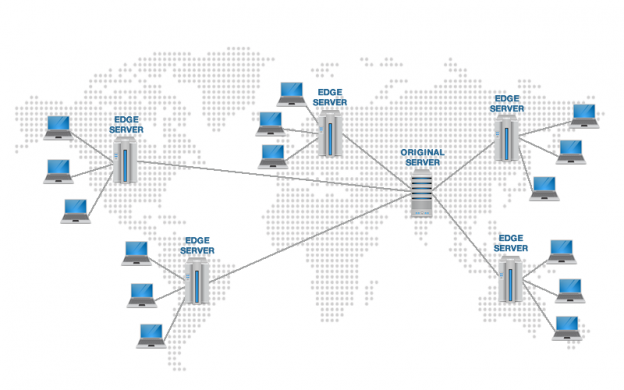 – Reverse proxy is the most common and used mode of operation. It basically works by terminating all incoming traffic and doing interaction with the server on behalf of a requestor. Reverse-proxy is the Go-To mode for security capabilities. – Router mode is quite similar to reverse proxy mode, but it does not work by terminating requests intended for the server and actually offers few services. It is also called transparent mode. Frequently, transparent mode usage id conducted for traffic logging along with reporting. – In bridge mode: In this mode, the WAF functions as a layer 2 switches with a very defined and limited managed firewall services. Technically, the mode of operation will be determined by knowing how the application is basically set up on the network. Thus, before opting for a WAF, we must carefully consider various deployment option that suits best for the network infrastructure and network environment, and must understand the scope of services that one will need to use. Traditionally, the most popularly used WAF configuration is a negative security model, which basically enables all the possible transactions except those that contain a malicious threat or attack. Both positive and negative models are capable enough of obtaining the delicate balance between “security” and “functionality.” In recent decades, positive security models have become more popular. This security approach blocks maximum traffic, allowing only such transactions that are known to be safe and without threat. The concept is based on strict content validation and statistical analysis. However, none of these alone can deliver the most effective and economical solution in every environment. – Burden on back-end web servers is reduced by Hardware-based SSL acceleration. – Efficient network transport is offered by automatic content compression. – Back-end server TCP is reduced by connection pooling which is done by enabling requests to use same connection. – Virtual Patching and Scanner Integration. Web application malicious attacks or vulnerabilities are usually the most common causes of data breaching. Enterprises with a WAF can easily detect any malicious attacks and provide a solution by providing virtual patches. Virtual patches are basically fixes for vulnerabilities for preventing various cyber exploitation by hackers and attackers. However, developers and programmers put their best practices in secure coding, and might ensure adequate security testing of such applications, but all applications are somehow prone to vulnerabilities. Fixes doesn’t requires any immediate changes to the software, and it allows various organizations to secure applications. Various malicious attacks and exposures which are specific to each application make companies web infrastructures exposed to vulnerabilities such as cross-site scripting, SQL injections, cookie poisoning, and others. Virtual Patches comes with automatic attack detection and anti-fraud capabilities. The PCI DSS requirements are being efficiently revised in a security attempt to avoid any malicious attacks and keep user’s data secure. Various malicious attacks are manufactured to steal sensitive credit card information. At present era, more and more security breaches and data thefts are occurring regularly. So, if in case your organization works with sensitive credit card information, you must attempt to comply with PCI DSS requirements. Web applications must be strengthened for protection with security purposes, they are often pathways for vulnerable malicious attackers to obtain wrong access to user’s sensitive cardholder data. Along with protecting the firewalls, this helps an organization to collect and analyze the data securely so that it has a better understanding of the current threat landscape—and gives a picture of how secure your applications are. It provide reports on various web-based attempts to obtain access to user’s sensitive data, might subverting the database, or executing DoS attacks against the database. Browser fingerprinting basically grabs browser attributes in a motive to identify a client. This is basically a great feature to identify or re-identify a visiting user, user agent, or device. Such persistent identifications of a client is very significant, allowing tracking across sites. However, it cannot be said that Fingerprinting-based identification is always reliable. It may not work with all device or browser types. It is advisable to check with your WAF vendor for a relying list of supported devices/browsers, specific features supported, a list of attributes etc. The process of offloading SSL computation to other network resources basically allows various applications to dedicate significant CPU resources to other processing tasks, which are performance oriented. However, SSL processing can cause a strain on application resources. Firewalls which support SSL certificates offloading increases the utilization of the applications they protect, along with eliminating the need to buy additional hardware, and increase the value of the WAF itself. Behavioral analysis capabilities provides a helping hand and makes it easier for your organization to predict, easily identify, and respond to attacks. There are some WAFs that can analyze and understand volumetric traffic patterns. Also such WAFS scan for anomalous behavior based on some set of related rules. An excellent WAF will assesses average server response time, various transactions per second, and various sessions that request abundance of traffic for determining that whether an attack has taken place. Earlier, in previous decades, deploying a Firewall used to be a somewhat difficult and time-consuming job as well for configuration and implementation of manual rules. Due to policy creation, firewalls can be processed with security policies that quickly addresses common vulnerabilities and exposure of attacks on web applications, including HTTP(S). Attacks. Management brilliantly compares the policies and provide a genuine evaluation of their functionalities across different firewalls, thus eventually strengthening overall security posture. Organizations need to ensure about applications availability, even when they are under attack. It can provide the desired performance by optimizing applications and accelerating technologies like fast caching, compression, and TCP optimization. They are performance-oriented. The best WAF, with robust appliances and through centralized management, easily enables to handle large volumes of traffic. It is advisable to enquire with your WAF vendor about their release cycle. As the threat landscape basically changes so quickly and dynamically, vendors that provides more common release, can help decrease your possibility of exposure and minimize the risk of your applications being compromised by a new or emerging threat. This entry was posted in Web Hosting Services and tagged web hosting, web hosting services, web hosting solutions on August 1, 2018 by Harpreet Kaur. One of the distinct advantages of web hosting plans is availability of free email inbox facility along with the hosting package. The facility provides excellent convenience of managing website as well as email accounts right from the web control panel. It needs to be understood that core objective of web hosting plans is for hosting web applications or websites while the provider may offer facility of email inbox simply as an additional feature. Such facilities can definitely support bare minimum email requirements of an enterprise. 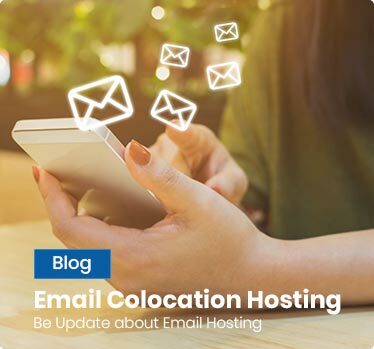 However, for businesses that need to use email as an important medium for business communications, it is better to opt for a dedicated email hosting plan apart from a regular web hosting package. Although it is common for majority of established companies to offer near 100 percent uptime for their web hosting services, you can ensure immunity of your email functionality by separating the same from web hosting. 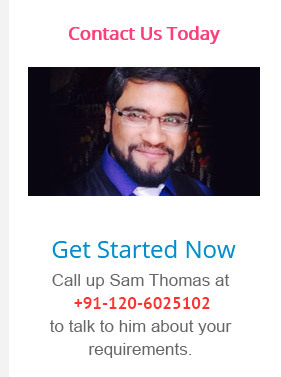 This is ideally achieved by availing dedicated email hosting solution. Since most of the small and medium businesses prefer to opt for shared hosting plans, it is common to have shared IPs in terms of email and business websites. However one cannot eliminate chances of IP reputation being lowered in case the server IP is found top send spam mails. This will result in a significant impact on your business. The only credible solution to ensure that reputation of your email IP remains intact is to go for a dedicated email hosting package. In order to overcome all potential problems of a shared IP in shared hosting environment, one should ideally acquire a dedicated IP for web hosting as well as email hosting. There are times when one has to switch web hosting provider. The migration of website can be easily executed with help of commands that transfer your databases and website by accessing SSH. However email migration can be delayed on account of availability of technical staff that will implement the process of email migration. Having a dedicated solution individually for web hosting and email hosting can be the right approach for smooth migration of both services. While using email functionality provided along with web hosting package, one needs to note that the emails and their attachments are actually using the space meant for websites. By using a separate email hosting plan you will not only make sure that your website is allocated sufficient space but greater cost efficiency as well. This is because availing a dedicated email hosting is more cost effective than an upgrade to a higher plan for larger disk space. You can protect your email by separating it from web hosting because if you web hosting account is compromised due to a malware or virus attack, the email account will continue to run securely. In spite of amazing technological advances in digital communications, email has proved to have stood the test of time. Email continues to act as a strong foundation for business as well as personal communications. This underlines importance of email facility and need for a separate hosting package to make sure that business communications are not hampered. However, one needs to find the right service provider in order to build robust communication functionality. You can choose between an on premise email server and a cloud email server. While choosing an email hosting solution, it is essential to properly analyze one’s email hosting needs. This will help you choose the optimum email hosting plan that caters to your communication needs. It is recommended to know some technical aspects of business email hosting prior to your interaction with potential email providers. This will put you in a better position to seek relevant information about email hosting services. This is an important aspect of a hosting service and the support facility should be available on round the clock basis because any technical issue can crop up at any time. It needs to be confirmed whether the support is being offered by technically proficient experts or not. An ideal email hosting plan should consist of a variety of integrated services including email archival, file syncing, anti-spam services, and mobile compatibility to name just a few. If all these services are being offered by a single provider, it can result in a cost effective solution and it also saves you hassles of adding services in future. Email provider’s policies in terms of email migration, setup charges, support fees, and on boarding formalities should be studied thoroughly to avoid any surprise elements. It is always advisable to go for outsourced email hosting rather than setting up an in house facility. This will free you from complexities of email server management and monitoring. What Is an Enterprise Email Hosting & It’s Benefits? This entry was posted in Email Hosting and tagged Dedicated Email, Dedicated IP, email hosting, Email Server, web hosting on February 17, 2017 by Harpreet Kaur. VPS or Virtual Private Servers are consistently being sought after by more and more enterprises. There is a steady growth in number of VPS users over the recent past. 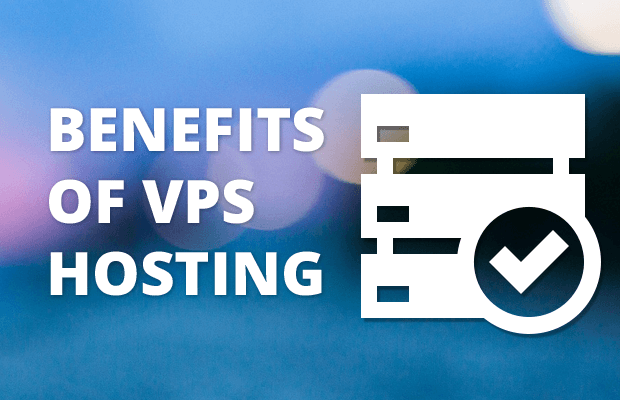 We can attribute the growing VPS hosting tend to several factors. Virtual Private Server is built by partitioning of a standalone physical server. It runs with its own operating system, bandwidth, and disk space. VPS server resembles a dedicated server in multiple aspects and user can reboot the VPS server, install applications of their choice, or choose an operating system to suit their needs. VPS empowers users with a free control panel that facilitates viewing of server information, bandwidth consumption, graphic stats and lot more. The most striking aspects of VPS hosing is the use of virtualization technology for enhancement of overall performance and functionalities of the Virtual Private Server hosting solution. Environment conscious enterprises are attracted to VPS due to its low carbon footprint while organizations that are on a fast-track of growth are able to leverage its rapid scalability and flexibility. In terms of all basic needs of web hosting, VPS hosting is fast emerging as the most viable alternative to shared hosting. It is found that companies tend to prefer VPS hosting as an entry level option to shared hosting, which is declining in overall popularity. The downslide of shared hosting can be mainly attributed to overselling activities of web hosting service providers, who tend to cram shared hosting accounts to such an extent that every single account is severely affected due to resource crunch and the resultant downtime. In addition to the overselling, shared hosting accounts are perpetually exposed to activities of other neighboring accounts. Over-utilization of resources by other accounts in shared hosting environment is bound to impact performance and uptime of other websites. Even a mischievous activity of a single account can lead to a server crash resulting in business loss of other websites in a shared hosting scenario. If you are engaged in online business activity, then it is better to avoid shared hosting due such issues. 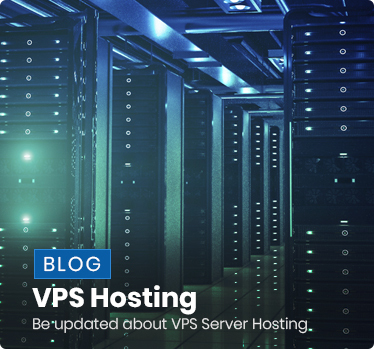 In contrast, VPS hosting account enjoys an isolated existence and does not suffer due to unwelcome activities of noisy neighbors as in case of shared hosting. Unlike shared hosting, users are able to exercise far greater control with availability of complete root access for installation custom applications. This feature is not at all available for users of shared hosting since it is significantly optimized for security and hence does not permit installation of a plethora of poplar applications. If you want to contribute your share to safeguard environment by using green hosting, then a VPS hosting is the way to go. It helps you minimize your carbon footprint significantly. This is due to the fact that you are sharing resource of a single physical server unlike a dedicated hosting solution that requires every single account to use resources of a single physical server. Since there are hundreds of accounts in the multi-tenant environment of VPS server, individual power consumption is considerably minimized leading to massive reduction in overall power consumption. If you are running a business website then your site is bound to grow in terms of number of hits per day and also more number of concurrent hits. In addition to this there are peak time spikes that can be highly challenging. This can lead to stressful situations as far as the availability of resources is concerned. Resource scalability is an important feature of VPS server hosting that allows scaling up or scaling down of resources as per the situation. VPS hosting is related to an environment of a container that is allocated with specific amount of resources as per the selected hosting plan. The important feature of these containers is that they can be provisioned with additional resources as per the demand fluctuations. This implies that you are at liberty to upgrade your RAM to accommodate the expected traffic spike by way of a single click of the button. The speed of upward scaling makes sure that your business availability is never compromised due to downtime and resource crunch. Startups and SMEs are forced to operate on tight budgets. Thanks to extensive use of VPS hosting, it has now become extremely affordable for small websites that are about to make their presence felt in World Wide Web. Such entry level websites can use VPS hosting by availing a down to earth plan that may cost as little as $10 a month. You will agree that this is the price of many a shared webhosting plan. VPS hosting can be your long term hosting solution due to flexibility and scalability factors. The most vital aspect of VPS hosting is the choice of an established hosting service provider. You can hope to avail wide ranging benefits including use of Plesk or cPanel, reliable server upgrades, customized configurations, and much more. This entry was posted in VPS Hosting and tagged vps hosting, vps hosting India, VPS Server Hosting, web hosting on December 3, 2016 by Pooja Tyagi. If year over year spending trends are any indicators, then we can safely conclude that holidays are reserved for online shopping sprees. Similarly heavy discount sales also push sales of e-commerce stores through the roof. This calls for some pretty serious thinking in terms of designing strategies so that your online store is ready to cope up with traffic spikes during vacations. The fundamental task for making sure that your business website is ready to handle the onslaught of vacation traffic is to confirm with your hosting service provider. This applies more for websites that are hosted on shared accounts. Your web host can certainly give you an idea about the ability of your website to deal with sudden traffic spikes. There are chances that performance of your website may be compromised due to excessive resource consumption of neighboring sites. Remember that downtime and slow page loading can seriously arm your revenues by turning down shoppers. It is now confirmed beyond doubt that people prefer mobile phones for browsing than their desktops. This also implies that your website will be viewed on your customers’ mobile phones. Hence you must ensure that your website is compatible with mobiles. If the site is not mobile ready, then you will be losing out on a major chunk of your potential customers who are trendy and are going to browse on the move. Images and graphics can really enhance any website’s appeal. However, these beautiful images need to be resized to offer a nice effect on smaller screens of mobiles. Please note that image size must not be large enough to cover or spill out of the screen. There are several tools out there to help you resize graphics such as compressor.io or jpegmini.com. Always make sure that you are providing a reliable and secure shopping experience to your visitors. Yes, you owe it to them for visiting your site and for making a buying decision. 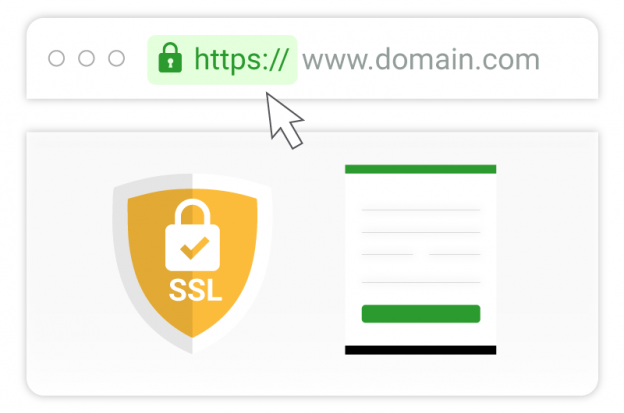 Security can be offered by offering SSL encryption that can also provide them confidence of green colored ‘https’ letters and a symbol of a padlock in your websites URL. Another way to improve security quotient of your site is by adding security badges in the lower right hand corner. There are multiple advantages of social sites in addition to socialization. You can announce your plans for upcoming sales promotion events by posting it on all social sites and also on website’s home page. The most useful social media is Facebook in terms of driving sales. The idea of the whole exercise of accessing social media is to drive potential customers to your online store. You need to show utmost honesty regarding your return policy by exhibiting the same prominently on the site. Nobody, including you likes to buy something only to discover that it doesn’t fit the bill. There should be no confusion regarding this advice. Keywords help drive potential clients right to your website. These need to be identified by using some of the most sought after research tools including Google AdWords Keyword Planner and so forth. These keywords help you optimize your website and also to create compelling blog posts. Keywords can be used in primary website content, your product descriptions and headings for better search engine rankings. Use of keywords in Alt Text is also recommended if there are images in your website. Keywords can also be searched by understanding the most relevant keywords of the yester year. You can use keywords such as ‘gift for friend’ or ‘best gifts’ to write blogs and articles in addition to using primary keywords that are identified by you through keyword research. 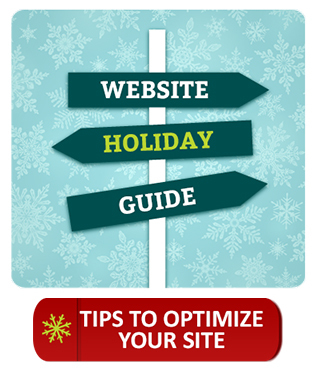 This will help you get the best holiday keywords for your site. It is natural that customer expectations are on the rise and these will continue to move upward forever. This underlines importance of providing easy return policies, customer friendly order management, same day delivery, store pickup, payment terms, COD, and what not. These service offerings or fulfillment options should be clearly informed in the FAQ format so that they are confident about shopping on your site. By following these vital suggestions, you can certainly hope to make the most of upcoming holiday season. You also need to confirm that your web hosting service is geared up to support your needs. 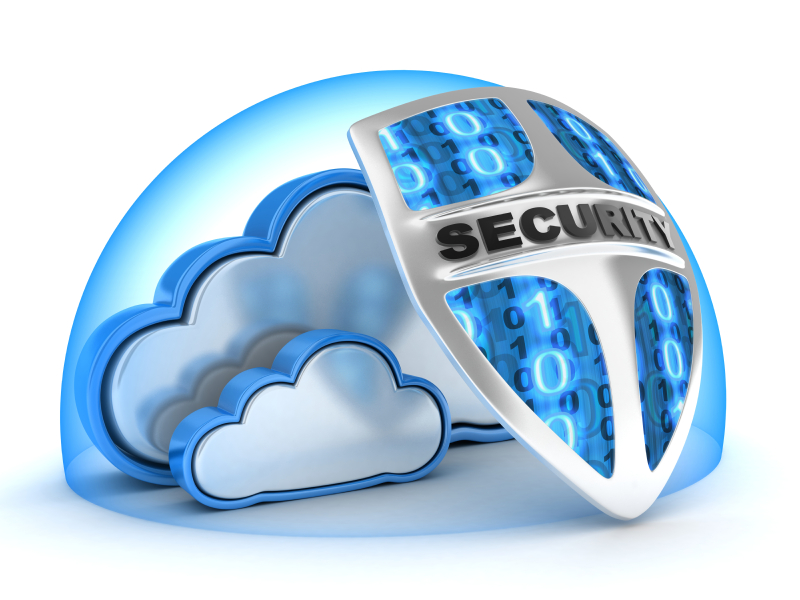 For years, security perils have curtailed many from migrating their critical data to the cloud technology platform. The recent attacks on US government systems are a stark reminder of vulnerabilities that have caused both monetary and reputation loss for the government. This catastrophic event once again highlighted the importance of securing electronic devices, proprietary data, including networks against infestations by hackers. Stringent security checks and vulnerability scanners to be put into action by clients to limit direct access to confidential data systems by overseas end-users, and by managing systems loaded with sensitive data and applications behind the government firewalls. In the race to keep them up in the service providers’ chain, many established cloud benefactors are heavily investing in security to win their clients’ trust. Such benefactors are eyeing on government agencies that are seeking to host their data and applications onto the cloud. In the present scenario, such organizations are not keeping their data outside confidential information and are teaming up with government bodies to become a robust partner for national security. Even though the adoption rate in government organizations is not that impressive, still there are many who are leveraging cloud benefits at its most. Not to mention, to succeed in today’s cut-throat competition, a thorough understanding of security channels deployed at the web hosting service provider’s end including devices and technologies are important undertakings. All Applications Are Not Meant For Cloud: Understanding this point is critical as every business is different with its own unique set of skills and responsibilities. Collaborating with a host that has a cloud solution to fit into your business requirements is important. This approach is applicable to all – whether you seek email server hosting, web hosting, or even CMS hosting. There are instances where clients adopting cloud solutions are troubled with a chaos spurred owing to the incompatibility of legacy systems with the adopted cloud environment. It is observed that many large corporations are reluctant to move their critical systems like ERP, HRMS, CRM to the cloud ecosystem due to ‘lack of trust’ factor. They believe that letting others handle their personally identifiable information is like giving invitation to security breaches. However, small scale companies and startups are showing more inclination towards cloud as they lack top-grade security frameworks and IT professionals to replicate their business needs. Elastic Network Architecture to Serve Corporate & Personal Client Needs: For years, network administrators are loaded with the onus of managing BYOD and IoT needs. And, companies at large have invested a lot in network automation and other requisites to keep it away from intimidating security issues. In addition to procuring new tools and hiring resources, the evolving network architecture demand separate data access needs. The service provider should have a well maintained network architecture that alleviates intimidations, provides separate access, and holistically accommodates corporate and individual needs of clients. For instance, cloud vendors can meet these evolving demands by making use of virtual machines, including hypervisors and containers to manage and access data. Every Business Needs Unique Migration Strategy: Not to mention, most cloud-based applications are based on virtualization and thus may not offer the similar benefits as offered by onsite servers. This is also one of the barriers that handcuff many to embrace public cloud, which feeds motivation in them to opt for the hybrid cloud that is accompanied with bare metal servers to safeguard critical data and information. Therefore, it is indispensable to connect with a provider that proficiently charts out a strategy to take up a successful cloud migration process. Incredibly Stringent & Granular Security Controls: From the encryption standpoint, it is quite difficult to achieve entropy by making use of the virtualization technique. Additionally, accidental key sharing between virtual machines make encryption process a worrisome task. If reports are to be trusted, a lot of the attacks happened in the past were targeted on VM templates. The reason for citing this information is to mention that such nefarious acts can entail problems in the smooth running cloud ecosystem. Going forward, there are many who are struggling with loosely-held container solutions, wherein keys are placed in the containers without adhering to an adequate security strategy. This probably gives access to hackers to steal the cryptographic keys and perform unethical attempts. Thus, it is of the utmost need to see if the cloud provider has stringent and granular security controls to resonate your security requirements – right from software applications to physical security. Service Level Agreements for Transparency: Not only should cloud service providers be capable of ensuring hosting and delivery policies, but they should also provide guarantee at each level – from network level for application and security. Fact – that BYOD and IoT are expanding at a faster pace, which is making it hard to keep up with security and performance needs. 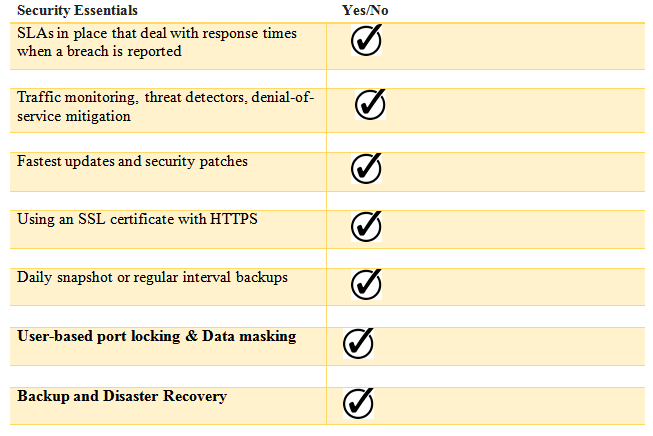 It is important for clients to confirm the availability and support level the selected provider offers, including the certifications it has accessed, techniques it has deployed, and what network uptime it offers. Besides, check whether the vendor regularly audits and review their security controls w.r.t HIPAA, PCI, etc. There is no denying the fact that cloud adoption is changing our lives – breaking stereotypes and adding value proposition. But, the other side of the cloud- that it has a few security disconnects as well, that can’t be overlooked. 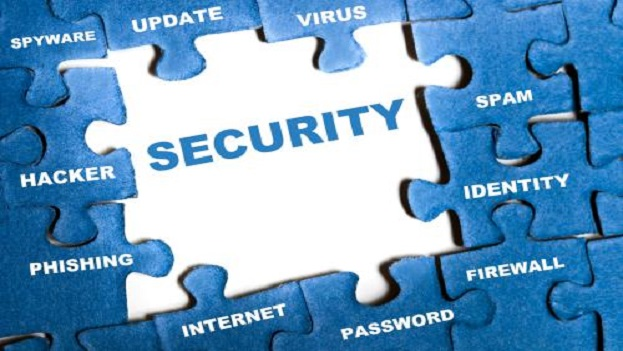 As mentioned in many of my previous posts that security robustness depends on the provider’s adeptness to architect and manage different security needs. I would reiterate the same. If you really want to leverage the booming Big Data, BYOD, and IoT – you need to ensure that your vendor follows the best security practices. This entry was posted in Data Security and tagged BYOD, Data Security, email server hosting, web hosting on November 5, 2016 by Taiba Fatima. • Data Center: To store mission-critical data, businesses need robust and well- equipped data centers which can guarantee the highest degree of security and redundancy for such data. To this effect, Go4Hosting has come out with standard Tier III data centers, two of which have been set up in Noida and Jaipur. These ensure that your data is protected against all forms of external threats and breaches round-the-clock. The data centers are backed by N+1 redundancy which guarantees 99.95% data availability even when there is a component failure. Go4Hosting is capable of hosting mission-critical servers and their facilities have fully-redundant cooling, power, and networking systems. Their hardware is superior and fault-resilient and all the facilities are protected through biometric access controls. • Experience: Go4Hosting has grown into one of the most reliable world-class server hosting provider because of its technical expertise. It offers only tried-and-tested solutions which have been developed by Microsoft Certified Professionals. When you sign up with Go4Hosting, you can also benefit from their 24×7 technical staffs which adopt the most recent technologies for better performance. • Support: Client enterprises find Go4Hosting services reliable because of their outstanding technical support; they will ensure that all your server-related issues get resolved without delays. You can get in touch with their customer service representative through live chats, emails and phone call. This web host is committed to offering the finest client services within the hosting industry. • Technical Advantages: Client enterprises are likely to be faced with server related problems from time to time. So, when you sign up with Go4Hosting you can be certain of getting end-to-end maintenance services. Their experts will take care of regular security updates, upgrades for the hardware and software, downtime resolutions, traffic handling issues etc. This frees clients to use their resources to focus on other important areas of their business. • Cost Benefits: When you own a business, establishing a private data center will entail very heavy expenses. You will also need to recruit and maintain technical experts for installing and maintaining projects on-site. So, Go4Hosting data center services are very popular because they will allow you to enjoy a highly secure infrastructure equipped with qualified and experienced technical experts handling its maintenance. You can therefore save on your capital and operational costs and instead use your resources to focus on other business matters. You can enjoy competitive pricing in their hosting packages; there are even special discounted offers for the privileged customers. • Service Level Agreements: As far as SLAs are concerned, Go4Hosting makes sure that their contracts always back their service offerings. This agreement clearly states the responsibilities of your hosting provider and the compensations they will have to hand over to you should they fail to keep up their promises. In this sense, Go4Hosting ensures that all compensations and refunds are made in a timely manner according to terms mentioned in the SLA. • Security Controls: When you sign up with Go4Hosting, you can enjoy their six-zone security which is impermeable. Their facilities implement stringent security measures to ensure that no unforeseen attacks can take place. They take every possible measure into account to avoid data theft, unauthorized data access and fire hazards. This security arrangement is unbeatable and you can be confident that your mission-critical data will stay absolutely safe here. • Redundancy and Backups: In the event of any component malfunction or failure, Go4Hosting has effective backup and redundancy systems. The N+1 redundancy guarantees that in case the primary power supply of a data center fails for some reason at any time, there will be a standby power component which will offer backups. This will ensure that an organization’s functioning and productivity are never compromised. • Carrier Neutral: Finally, businesses need to be able to deliver high data access speed to its customers at all times. For this, they must have unobstructed network connectivity. So, a site can be made available to clients 24×7 when the host can guarantee seamless network connections. Go4Hosting provides this through its carrier neutral services. This allows clients to get different telecommunication networks across different verticals. Any chance of failure will therefore get eliminated as a result leading to zero downtime. These are some of the reasons why Go4Hosting has grown into one of the trusted and most reputed names in the world of web hosting. This entry was posted in Web Hosting Services and tagged data center, data center India, web hosting, Web Server, Web Server Hosting on October 3, 2016 by Abhay Singh. When you run WordPress on your website, you will need to decide between shared WordPress hosting and managed WordPress hosting. Shared WordPress hosting is unarguably the more popular of the two and it is necessary to find out the real reasons behind this popularity. To start with, shared WordPress hosting is when a number of websites share a single server. Since there are many co-users on the same site, the web hosting companies can offer such hosting solutions for cheaper rates. So, shared WordPress hosting is obviously popular because it is an economical alternative. While shared servers will demand something around $10 a month, in comparison, the dedicated servers will be priced at nearly $150 a month. How is Shared WordPress hosting useful? When you choose shared WordPress hosting, you will find that most web hosts claim to provide you with unlimited disk space and bandwidth. However, the reality speaks otherwise; there is really no “unlimited” facility which a web host can offer its clients through shared hosting. This type of hosting solution is found to be ideal for smaller business and individual bloggers who do not need an incredible amount of bandwidth or server space to launch themselves. This form of hosting is not likely to work if every user on the server decides to use up its maximum quota of bandwidth or space. At the same time, not every site on a shared server needs so much space or bandwidth because they do not get a lot of web traffic. This is why shared WordPress hosting seems to work really well for the smaller site owners and bloggers. It is a good option for people who are just starting out on their own and must work within budgetary limits. When should you move away from Shared WordPress hosting? Once your site starts to grow and the traffic to the website begins to escalate, you may need to upgrade to a VPS plan or a dedicated hosting plan because you will need to use more server resources that what is available to you on a shared server. Unfortunately, some web hosts do not offer a fair warning to their clients and simply suspend their shared hosting accounts. This is another reason why it is so vital to identify a reliable web hosting service provider. When you choose a hosting provider for shared WordPress hosting, you must look into its reputation. Unless the company has a solid track record, it is not wise to buy hosting plans from it. You need to review their Service Level Agreements carefully, understanding the features it offers and the compensations you will be entitled to for their failure to honor such guarantees. Most users are unclear about industry jargons and choose a company simply on the basis of the promises they make and the long list of features they appear to offer. What benefits are you likely to enjoy with Shared WordPress hosting? • When you buy Shared WordPress hosting plans, the obvious advantage is the cost benefits. Shared WordPress hosting is far cheaper compared to Managed WordPress hosting where the server is maintained by the host. In shared WordPress, hosting maintenance costs of the server are shared by multiple users. 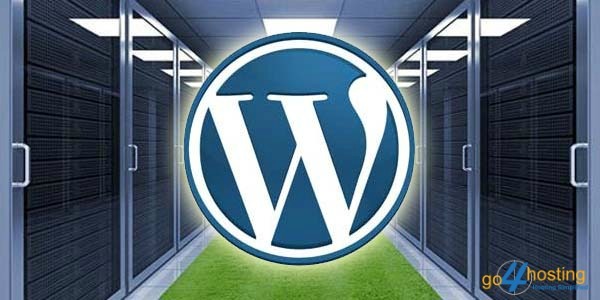 • There is much technological advancement today which has made shared WordPress hosting solutions very user-friendly. You can benefit from their easy-to-use control panels like the cPanel. • When you choose shared WordPress, you are not required to handle server maintenance or management alone; this means that you can comfortably focus on your own business without having to worry about downtimes and latency problems. • The best part about shared WordPress hosting is that you can easily upgrade to other hosting plans when the need arises without facing any problems. While these are some of the key advantages of shared WordPress hosting, there are also some important drawbacks. The most important of these is the fact that many of your neighbors and co-users may be malicious websites which can slow down your website. Once your site has “bad neighbors”, it is likely to get blacklisted too and this may cause a decline in your rankings on search engine. Besides, when you shared resources like power or memory or bandwidth with neighbors, chances of these getting overused by some neighbors are very high. This may cause your site to face downtimes and the host may not be capable of resolving this issue. So, when you choose a shared WordPress hosting provider, you need to check its credentials and reputation well; not all hosts are equally reliable. Since resources have to be shared amongst many users, there will resource limitations. Moreover since they run many other applications in addition to WordPress, the sites using shared WordPress hosting are likely to be far slower than sites opting for managed WordPress hosting solutions. This entry was posted in WordPress Hosting and tagged web hosting, Wordpress Hosting, WordPress Hosting Solution on September 27, 2016 by admin. With digital being the order of the day, owning a website has become imperative for entrepreneurs to survive and thrive. If you still don’t have a business website, then it’s high time for you to get a domain name registered and team up with a hosting provider, to ensure growth of your business in the future. Today, there are more than one billion active websites on the web, used by online marketers to perform branding, marketing, and advertising activities. Businesses are learning technical aspects to let their website stand out of the competition. But, the unfortunate part is that sometimes in spite of a website having an appealing look and feel, taglines, color composition, and easy to remember domain name does not achieve the desired results when compared to your digital marketing strategy efforts. Have you ever wondered why your website is unable to achieve your intended targets? Most entrepreneurs end up getting a thought that their campaign or content is a barrier to their progression. But, they never really realize that there could be something wrong with their website. In about 50% cases, there is a problem in your website hosting, not the content or theme or design. Just “a few seconds” to capture your visitors’ attention! Delayed Website Response: Page loading time is an important factor that determines user experience. 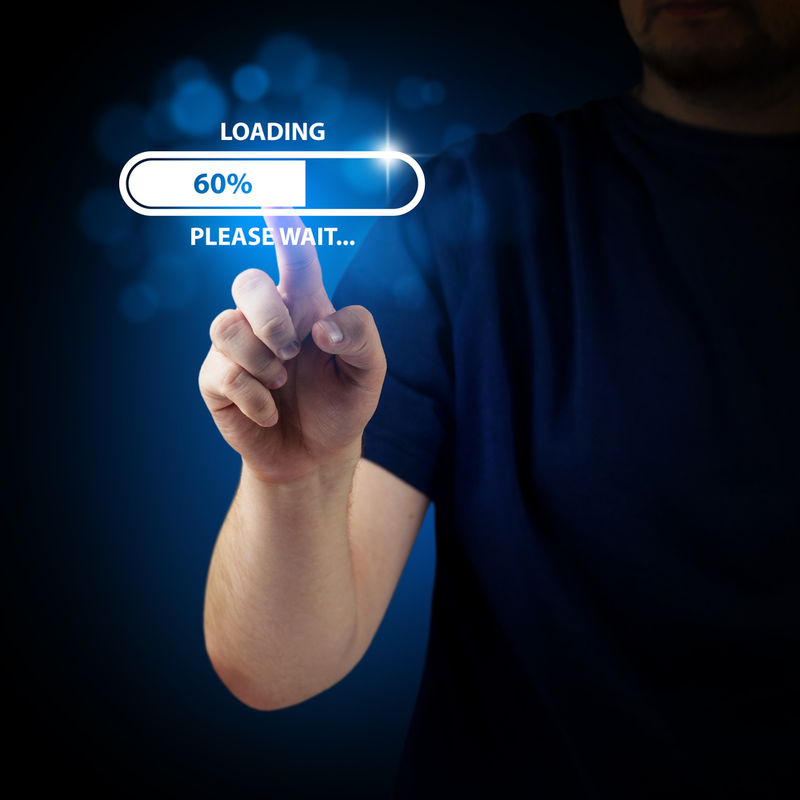 To perform well online, a website should load fast for users on all devices even with sluggish internet connectivity. An average Internet user doesn’t wait for a website that takes more than ideal time to load and turns to some other website. 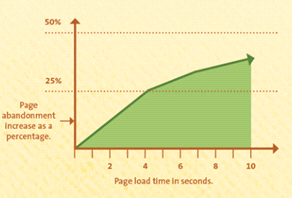 Slow loading time is one of the major reasons behind page abandonment. To avoid the under performance trap, choose a web hosting provider that is equipped with a latency optimized data center facilities and warrants fastest loading speed. Poor Caching: Caching is a temporary storage space that enables websites to load faster. 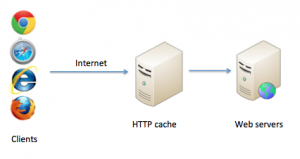 There are a trail of cache location types, such as object caching, database caching, page caching, and OPcache. Caching is completely dependent on the hardware (storage type) – means, the faster the hardware is, the faster the caching mechanism. So, did you ensure the hardware components, including RAM and other configuration when determining a hosting environment for your business-critical website? If not, this could be one of the probable reasons that you’re lagging behind. Intolerable Uptime: It’s no secret that organizations across multiple domains are embarking on digital transformation like never before. Therefore, the underlying network must not be overlooked when singing up a hosting contract. Network connectivity should be capable of integrating multiple data center facilities, through a plethora of connectivity options, such as Internet bandwidth, Multi-Protocol Label Switching (MPLS), and Virtual Private Networks (VPN). Talk about any industry analyst firm, such Gartner, Forester and IDC, all of them estimate how badly a downtime can impact a business’s bottom-line performance. A host of reasons can be held responsible for downtime – DDoS attacks, power sabotage, incompetent network devices, and lack of monitoring. Thus, choose a provider’s facility that is built with N+1 resiliency and offers no less than 99.95% network uptime. Non-friendly Website Design: Businesses are now boosting BYOD to increase collaboration and productivity. 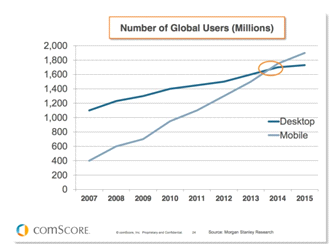 End users’ dependency on mobile devices is increasing day by day. They prefer to watch videos, search for information, place orders, and do many other things on their mobile. So, did you optimize your website to fit the screen size of different smart devices? No, this could be one of the possible reasons what is killing your sales. Get yourself a mobile-friendly site that loads promptly and is easy to navigate. Fixed or non-scalable Infrastructure: Scalability is a must-have factor when collaborating with a web hosting provider. At times, it is found that businesses fail owing to lack of requite resources to foster dense traffic needs. Therefore, look for a web host that provides flexible computing and other IT resources to seamlessly support simple to quick upgrades. Modular systems, auto-tiering provisions, object storage, including elastic capacity should be in place to adapt to changing market demands. Inadequate Security Provisions: Security and privacy protocols are another reason that can wreck your sales objectives or tarnish your online reputation. Every year a large number of data loss and infringement cases are registered. In order to ensure that your website is secure, hosting provider with competent security protocols, including monitoring tools, firewalls, and other security essentials should only be selected. Keeping these factors in mind, you can boost your sales funnel, build strong brand presence, and outmaneuver your competitors. This entry was posted in SEO, Web Hosting Services and tagged Hosting Provider, web hosting, Web Hosting provider, Website Hosting on August 25, 2016 by Taiba Fatima. No entrepreneur wants to stay connected to a web hosting provider riddled with incompetent offerings. If your business is experiencing frequent downtimes and poor support services, it’s the right time to move to a proficient benefactor now, rather than praying to God that things may fall into same shoes as intended. Believe me, it may throw you out of the business realm anytime. Also, many clients believe that the migration task is overwhelmingly complex undertaking, which holds them to stay allied to a bogus hosting provider. 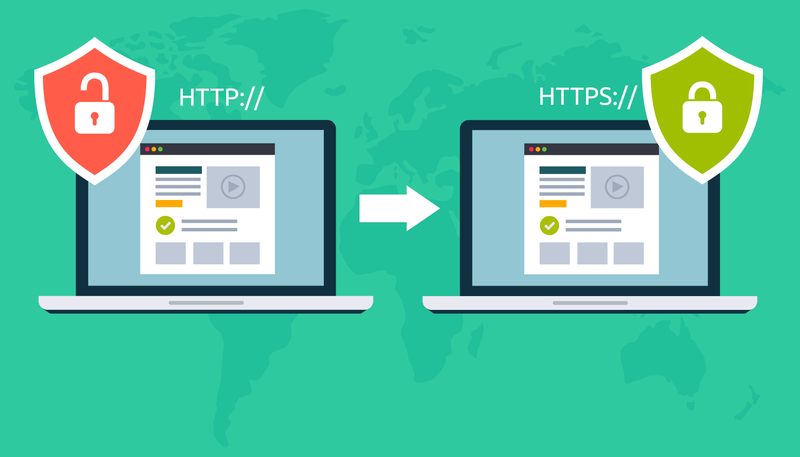 For those, here is the step by step guide that will help in making a swift and secure move to a new web host for an enduring tomorrow. 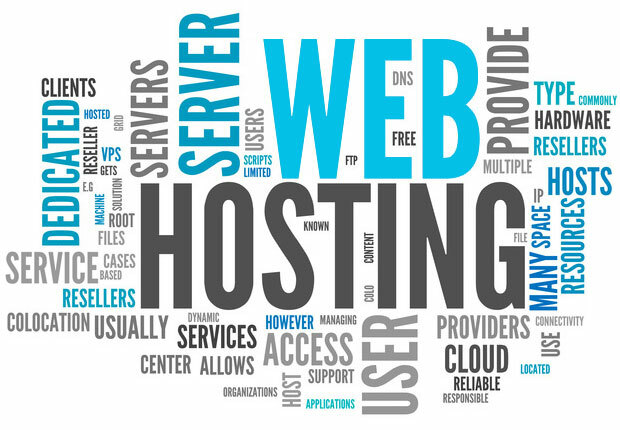 Today, the market is flooded with umpteen web hosting service providers. However, determining which provider has filled its arsenal with right capabilities to meet your unique business needs is not that simple. Also, you can’t pretend blind and hang on to any vendor, if you really don’t wish to face the aftermaths. The best way is to compare the services (dedicated server, VPS hosting, or shared hosting) of any of the top five reliable brands with respect to pricing, configurations, security, and resiliency. Moreover, it is recommended that you should always register your own domain name when making a final verdict; it will help you switch to the other provider with your domain, without any hassle. Backups are indispensable for uninterrupted business continuity. Backups can be really helpful especially in situations where you might have deleted some of your important files; equipment have got fail, or if virus have attacked your website. Transferring a website’s files to a new web hosting account is easy through FTP. Static files can be backed up by simply copying old file structures to the new web hosting account. The most convenient way to transfer your website’s files to your new web hosting account is through FTP. For websites that are dynamic in nature, and the ones that run on databases like MySQL, it is important to configure the web apps to a new hosting account, as they are presently stored in the existing one.Further, move the database file to the selected partner. In order to commence swift migration, it is important to ensure that both the new and old web hosting vendors employ the same web based administration technology. Note: It would be easy for web applications that have provision for transferring all your data files to the selected hosting vendor. However, with applications that lack such functionality you are required to modify the database configurations accordingly. Once you have uploaded all your files and databases into the new hosting account, it is important to ensure that everything is working fine. To ensure the same, you can take a quick look at the newly launched website with the help of a temporary URL in IP addresses. A host of companies offer a platform that enables clients to preview their website before making it live. This, in turn, cuts off the occurrence of errors. Once you are done with the backup process, intimate the domain registrar to use your new DNS record. You can simply log on to the domain registration control panel provided by the registrar , select the Domain Name Server in the sidebar and change the DNS records, it would ensure that your visitors can access your website without experiencing any blackout or error message. Note: It is critically important to collect the right DNS details from the new web host and replace the old name servers with the new one. Changes made to the name servers take around 6 hours to one day to reflect. During this transition time, both the new and the old website will stay functional. Once the process is complete, inform your former hosting provider to cancel the subscribed web hosting plan. Note: It is recommended not to post the content when the transition process is underway as you might lose your critical data after the activation of new host files. However, downtime will not be an issue, but still you should not make any particular changes in the design, content, or files until and unless the process gets completed. This entry was posted in Dedicated Server and tagged Dedicated Hosting, dedicated server, web hosting on July 20, 2016 by Taiba Fatima. If you’re planning to create your first website, you need to be crystal clear on exactly what you’re driving towards. There is a whole host of decisions that you need to make for your business– right from the designing and development to the content and search engine optimization activities of your website. However, one area that businesses shouldn’t forget to focus on is ‘who their hosting partner is’. Getting stuck with a bad website hosting vendor – that demands hefty investments, and in return, delivers poor quality service – can tarnish your business repute and throw you out of the market. Thus, before they convince you to sign the dotted line for their hosting plan, ensure the matter-of-factness and capabilities of the chosen partner. Cost, bandwidth, scalability, and security are some of the crucial factors that every entrepreneur should keep in their priority list before making the final call. Security: One of the most important things when it comes to selecting a web host is determining what preventive measures the provider follows to protect your website against susceptibilities. 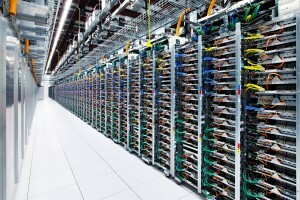 A number of hosting vendors available are today, ranging from those who offer server space, bandwidth, and connectivity leaving the security as your responsibility, to those who work on stringent security modules, traffic monitoring, daily malware scanners and denial-of-service (DDoS) mitigation techniques. A website that lacks proper security is a failed website. Not to mention, compromised network security can lead to loss or breach of hosted data. Backup Facility: Over the period of time, enterprise data has grown substantially. With the instances of cybercrime at their peak, it becomes immensely important to have backup and restoration facility active round the clock. It goes without saying that the loss of critical data will have a substantial impact on organizations of all sizes, and could be a reason behind the collapse of a business. That’s why, every business leader should see that their service provider has taken the backup of your website(s). Ensure that your service provider has an influential disaster recovery plan, which includes taking backup of your website on regular intervals. Business Availability: Today’s data centers have become lifeblood of organizations, supporting varied demands of different sectors. With critical applications and services being deployed to provide the foundation for mundane business operations and delivery of end-to-end user services, the data centers must deliver uninterrupted network availability and meet service level agreements. 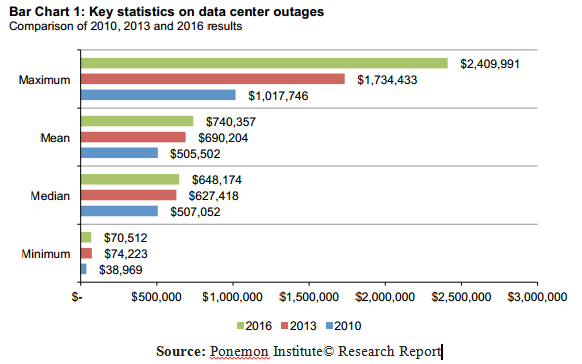 Any downtime can cost loss of millions of dollars. In order to ensure proper functioning of a data center, it is important that they encompass strategies and standard solutions that prevent outages and ensure business continuity. When a user visits your website and experiences an error message or a blank screen, it leaves a bad impression on end-users. According to reports, users never turn back to a website that takes extended time to load or experiences frequent downtime issues. Select a service provider that provides 99.95%-100% network uptime, which is backed by a stringent SLA. Scalability Matters A Lot: Besides security, availability, and backup – scalability is one such factor that if not considered before the sign up process will ruin your online presence. Scalability is important for many organizations. 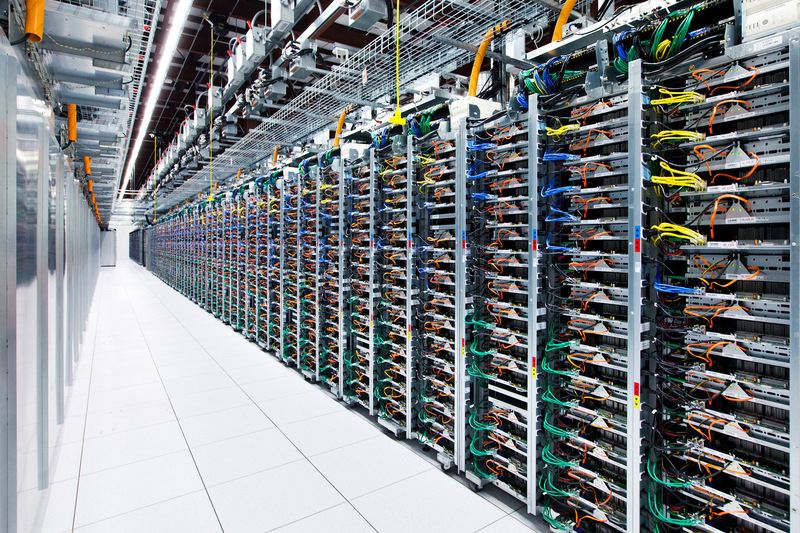 A data center provider should have a width of services to offer and support business growth. The facility must be equipped with elastic infrastructure that can provide seamless support for quick upgrades and accommodate growth. Let’s say, if you start off with a shared hosting plan, and with the increase in traffic flow, you decided to move to the upgraded or the most secured dedicated hosting platform. What if, you come to know that service provider has only limited services to offer and can’t support your website popularity? Switching to another provider will be the only choice left before you, but this may cause disturbance in ongoing business operations. Ensuring this will save your capital, time, and efforts. Select a service provider that allows you to upgrade over time whenever your business demands it. 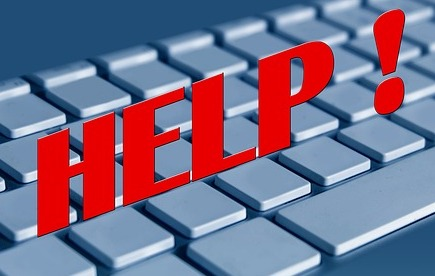 Technical Support: Technical emergencies arrive without making any prior proclamations. At times, a website may encounter service interruptions, this, in turn, demands the support of professionals, who can access and fix it without any delay. Thus, it is important to seek a hosting provider who offers free support, 24 hours a day. This entry was posted in Web Hosting Services and tagged Hosting Provider, Web Host, web hosting, Website Hosting on June 4, 2016 by Taiba Fatima. Blogging is the heart of every social media strategy! Are you ready to set your website off the ground? Picked up the right domain, content, theme and design for your critical site? Good going, but hold on! Before signing the dotted line, did you evaluate the capabilities and expertise of the web hosting provider you are going to partner with? In connection with this, a research report publicizes that – choosing the right domain name, subject, content, and design is only the half way to success, the other half way is accomplished when you choose the right benefactor that fits into your needs in a non-negotiable way. Undeniably, hosting a blog does not require major undertaking; however, it does require effective planning. As Internet trends grow, the practice of publishing blogs has followed the same growth trajectory. It goes without saying that if you are running a website without a blog, you are certainly missing out on some of the great opportunities to ingrain customers and augment visitor traffic. In today’s social media driven landscape –where businesses are striving hard to engage customers by implementing different marketing strategies – blogs plays an integral element in connecting your business to your intended customers. A static website where content is not updated is synonymous to an online brochure which has no less impact on your customers or visitors. Giant search engines, such as Google, Yahoo, etc. value your blog posts as the content of your site in their search algorithms. Above all, experts suggest that blogging is one of the best ways to optimize your website for search engines. Every post that you publish on your website helps in connecting you to various prospects. 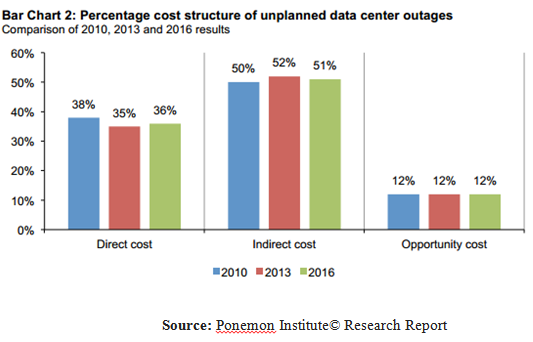 Let us say, if you own a data center in India and you create a post on how an efficient data center can help you cutoff your operating expenses. Now, if someone searches for efficient data centers in India, and if you have maintained your site as per White Hat Search Engine Optimization Guidelines, and if your post is simple and rich – probability is Google will show your posts in its search results. In short, your blog will help in improvising your site and pages’ ranking. If you are thinking to set up your blog under a different domain name other than your website, it won’t yield expected engage more and more customers. On top of that, it is always good to do some research work before taking on a new task. Integrating a blog on your website will be of an added advantage, allowing you to acquaint your readers with pieces of adequate information. Including tips, pictures, videos, and sharing success stories and how-to guides will make an impact on your business’s bottom line. Slow Loading Speed: By now, it is not a concealed truth that Google and many other search engines do not prefer to serve up your sites in top search results, if your website loads slow, and encounters frequent downtime issues. Slow website loading speed has a direct impact on rankings and ROI. Visitors do not really want to visit a site that takes extended time to show up the requested page, and thereby, turn up to some other website of similar business domain. A website that is not fast is a failed website. Solution: Before you sign up for hosting services, ensure that the service provider’s facility is located in proximity to your business location. Let us say, if your target users reside in India – selecting a data center service provider in India is a sagacious approach, owing to two reasons. First, it reduces the latency time, and, second, it provides greater control. Compromised Account: Cybercrimes are accelerating at the fastest pace putting pressure on IT professionals to keep their antidotes ready for quick relief. Again a hacked website is a failed business. Can you imagine what will happen if hackers gain access to your critical business data? You may lose billions. Your business reputation could be at stake. You can be thrown out of the market. Solution: To combat these forbidden scenarios, it is crucial to have right security modules in place, such as biometric access, scanners, video surveillance, firewalls, trained professionals, and the list continues. Ensure that your service provider has all this in place before you make the final word. Untrusted Technical Support: We are moving to a customer-centric landscape, wherein it is important that both prospective and potential users are served with the right set of information and assistance in the nick of time. In the technical world, you never know when and where technical issues can crop up and halt your ongoing operations. Solution: Having an access to qualified technical team is necessary to quick fix the burgeoned issues. Select a service provider that offers 24×7 tech support not only in verbal commitments, but also in service level agreements. Website Downtime: As we have already discussed that a website that is a victim of frequent downtimes loses its purpose, a single minute of downtime can cost hundreds of thousands to a business, and for a newly launched business it can prove a major setback. 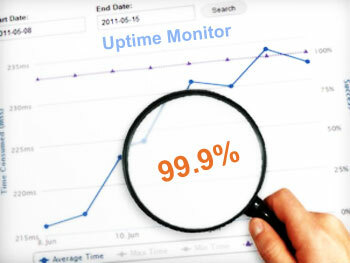 Solution: Select a web hosting partner that provides legally-backed network uptime, which should not be less than 99.95%. This entry was posted in SEO, Web Hosting Services and tagged Bloggers, Hosting Services, SEO, web hosting on May 27, 2016 by Taiba Fatima.